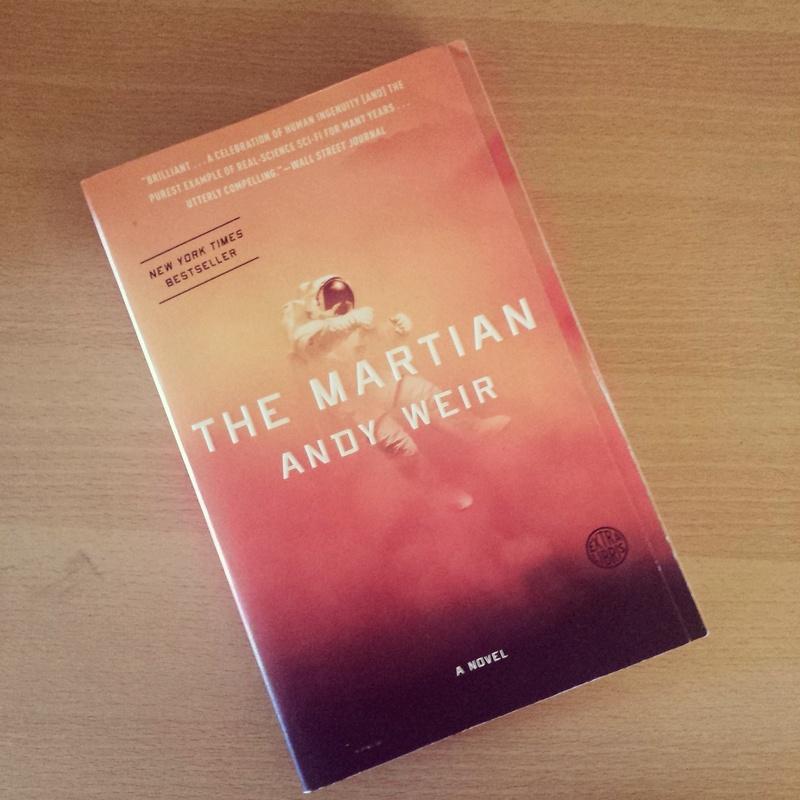 For my first book review, I decided to go big and start it off with one of the most recently talked about sci-fi novel, The Martian by Andy Weir. If you swing by my Goodreads page, you’ll see that my shelf is a bit lacking in the sci-fi genre but when I came across this novel through a recommendation I was easily enamored by its story. An astronaut stranded on Mars? The struggle between surviving, man vs. Mars. Sign me up! So the instant I saw a paperback edition I snagged it immediately. Don’t worry I’ll make sure that my review will not give away most of the story and its juicy parts. Mark Watney is part of a mission sent to Mars and a freak accident may have just sealed his faith in becoming the first man to die on the red planet. The novel starts through a series of logs (or Sols) made by Watney where he described what’s likely to happen to him in the next days, weeks and months. For those who might have problems with reading thru a first-person POV, I’ll tell you early on that his narration is nothing but smart, canny and even hilarious. Watney is brilliant and resourceful so you won’t get bored reading through his thoughts especially his reactions to disco music. Honestly, I’m not the biggest space nerd or astrophysics buff so I may have had a bit of a hard time digesting some of the science/space talk. But Weir’s way of threading Mark Watney’s day-to-day struggle made me feel like I was holding onto my seat the whole time and then suddenly I found myself rooting for this guy who seems to have all the odds stacked against him. In that way, I think Weir was really effective in immersing his readers into the character’s situation. Weir’s first novel has the right combination of human drama and suspense coupled with quick-witted characters. Apart from Watney, there are several other characters who’ll make you snicker, cringe, and cuss. He was able to capture and hold my attention given that I haven’t ventured into the genre of sci-fi that much. I would easily recommend this book to anyone who loves a good suspenseful read. You don’t have to be too inclined with space-talk in order to get hooked on this book.